The Wrekin Housing Trust currently has four maisonettes on Meadow Road, Newport, in which they are looking to demolish and construct in its place four new build modern homes which are to be used for retirement living. 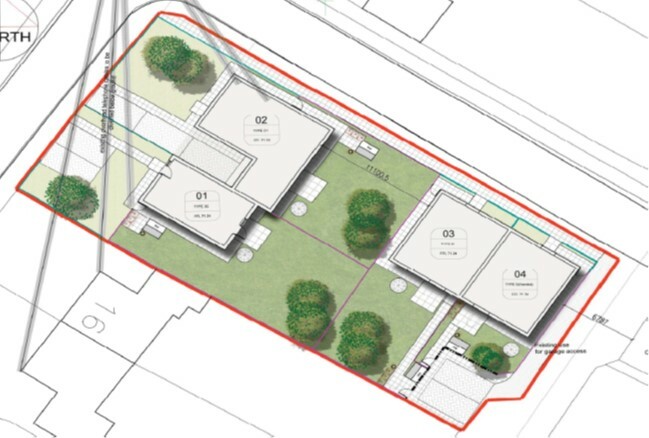 The site will consist of 4 dwellings, 2 of which are 3 bedroom houses and 2 of which will be 2 bedroom bungalows. All properties are to be built to lifetime homes standards and with a specific tenant in mind. Fellows appointment as Employer’s Agent and Cost Consultants includes: stakeholder engagement as to ensure an appropriate design to suit the proposed tenant, and planning and coordination of the design team, culminating in the submission of a comprehensive planning pack. To avoid any Party Wall issues, Fellows had frequent engagement with local property owners in order to advise the Wrekin Housing Trust on the most cost effective course of action to comply successfully with the Party Wall Act 1996. Fellows negotiated with a local contractor to enable a comprehensive tender and successful agreement of cost, whilst achieving best value and protect the clients interest.